Written by Ronan Bennett and directed by Yann Demange (series 1) and Jonathan Van Tulleken (series 2), Top Boy stars Ashley Walters and Kane Robinson in a mix of visceral thriller and intimate, heartfelt drama. 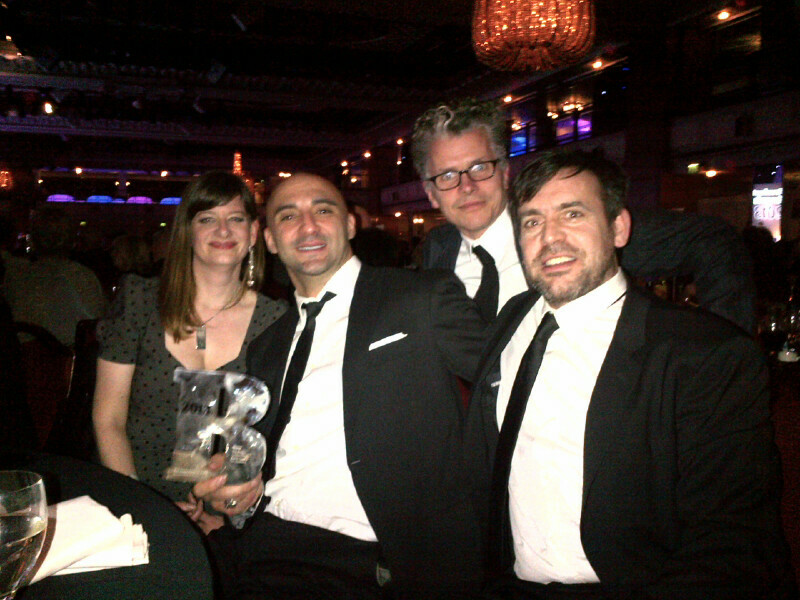 Described as “a beautiful, honest and gripping rendition on inner-city drug and gang culture”, the series was both BAFTA and RTS award winning. Top Boy will be will be returning as a Netflix original series in Autumn 2019. The next chapter, consisting of ten all-new episodes, will be written by Ronan Bennett and executive produced by the original creative team together with the multi-faceted entertainer and producer Drake and his business partner Adel “Future” Nur, along with Maverick Carter and Jamal Henderson for SpringHill Entertainment. Currently in post production WILDFIRE is the highly anticipated feature debut from award-winning Irish director Cathy Brady (Morning, Small Change, Wasted). 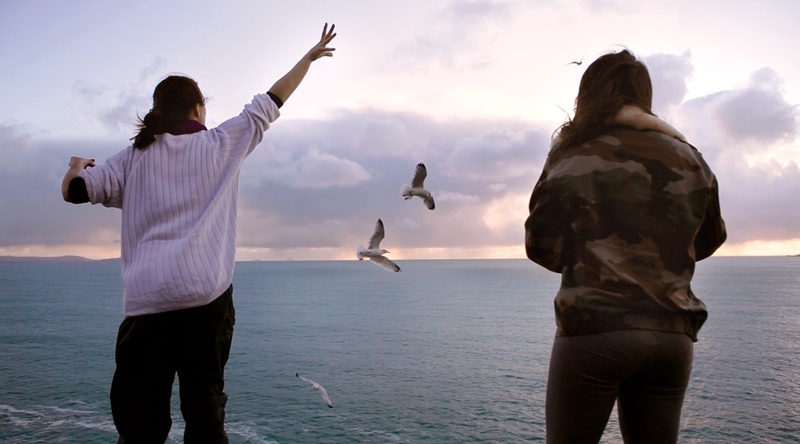 WILDFIRE is the story of two sisters who grew up on the fractious Irish border. When one of them, who has been missing, finally returns home, the intense bond with her sister is re-ignited. Together they unearth their mother’s past but uncovered secrets and resentments which have been buried deep, threaten to overwhelm them. An official UK/Ireland co-production. Financed by Screen Ireland, BFI, Northern Ireland Screen, Film4, Wellcome and Great Point Media. 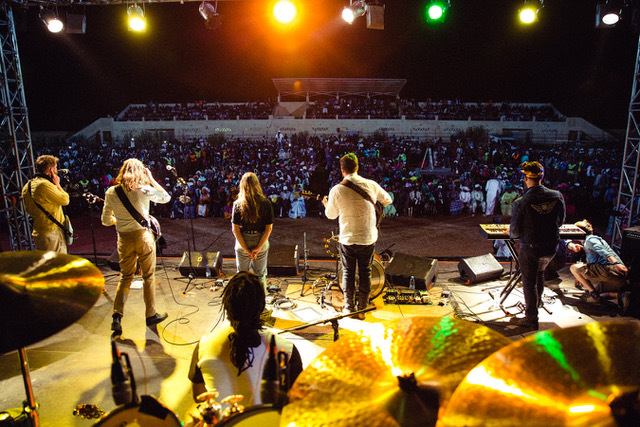 Return To Podor is a documentary that follows Senegalese artist Baaba Maal and Mumford & Sons on their journey to the most remote music festival in the world: Blues du Fleuve (River Blues) in Podor, Senegal. 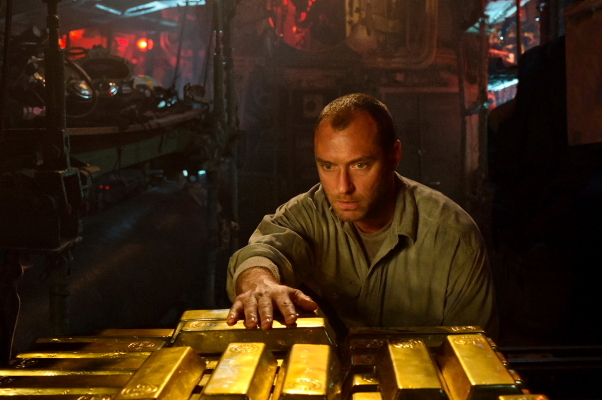 Black Sea centres on a rogue submarine captain (JUDE LAW) who after being laid off from a salvage company, pulls together a misfit crew to go after a sunken treasure rumoured to be lost in the depths of the Black Sea. As greed and desperation take control on board their claustrophobic vessel, the increasing uncertainty of the mission causes the men to turn on each other to fight for their own survival. Directed by Kevin Macdonald and financed by Focus Features and Film 4. How I Live Now is Kevin Macdonald's big screen adaptation of Meg Rosoff’s award winning young adult novel of the same name. 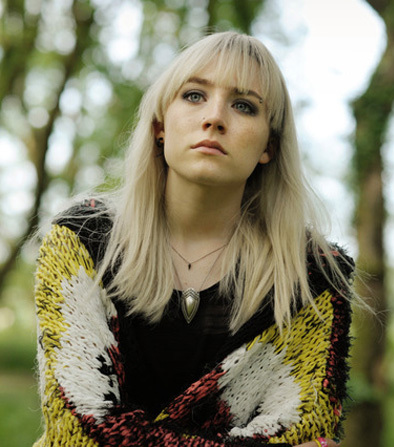 Daisy (Saoirse Ronan), a teenage New Yorker, is sent to England one summer to stay with cousins she has never met before. Immersed in a dreamy pastoral idyll she soon falls madly in love with her cousin Eddie (George Mackay). Their summer is blown apart by the sudden outbreak of a 21st century World War when, along with Eddie's younger siblings Isaac (Tom Holland) and Piper (Harley Bird), they are forced to fend for themselves. Eventually separated, Daisy is forced on a terrifying journey to be reunited with the boy she loves. Eddie is never far from Daisy’s mind but as her journey to find him gets more desperate, the idea of what she may or may not find begins to consume and haunt her. Produced by Cowboy Films and Passion Pictures the film has been developed in association with Film 4. Financed by the BFI and Film 4, Entertainment One are distributing in the UK and Protagonist Pictures selling internationally. was made as a single drama for Channel 4 directed by Benjamin Ross. 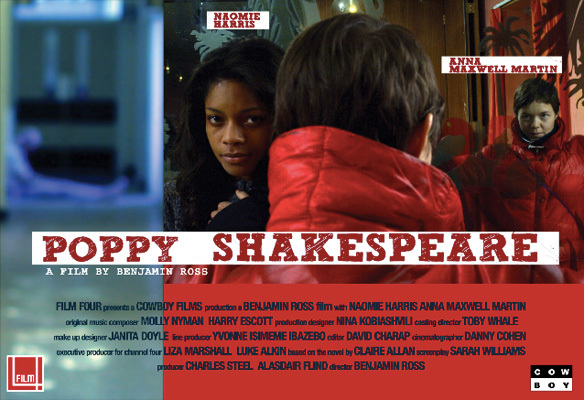 A dark and original satire set on the ward of a decaying psychiatric hospital, Poppy Shakespeare stars Naomie Harris and Anna Maxwell Martin – who went on to win the BAFTA for Best Actress for her role. The film was a critical success when transmitted on Channel 4 and went on to receive further acclaim on the international film festival circuit, including Best Independent Feature Film Award at the Santa Barbara Film Festival. 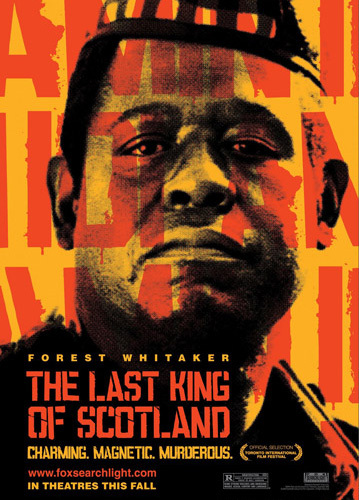 The Last King of Scotland stars Forest Whitaker and James McAvoy and is based on events surrounding the Ugandan dictator Idi Amin's regime, as seen by his personal physician during the 1970s. The film was directed by Kevin MacDonald and won numerous awards, including a BAFTA for Best British Film and an Oscar for Best Actor. The film was released worldwide by Fox Searchlight and produced with Lisa Bryer and Andrea Calderwood. 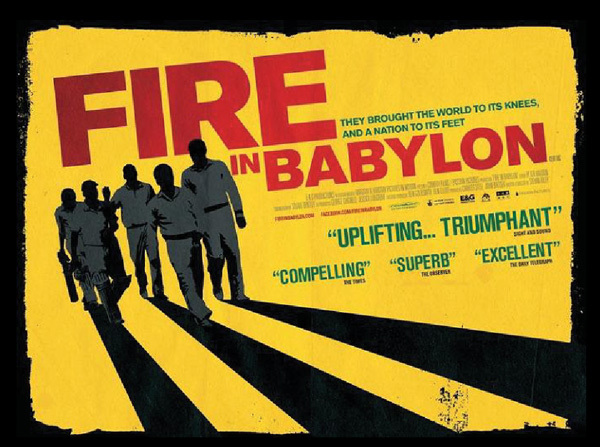 Fire In Babylon tells the story of the great West Indies cricket team of the 1970's/80's - exploring their achievement against the social, political and cultural backdrop of the period. This cinema documentary was directed by Stevan Riley, and produced together with John Battsek. The film premiered at the London Film Festival in 2010, was nominated for a BIFA and won a Grierson Award. Released theatrically in UK by Revolver Entertainment. 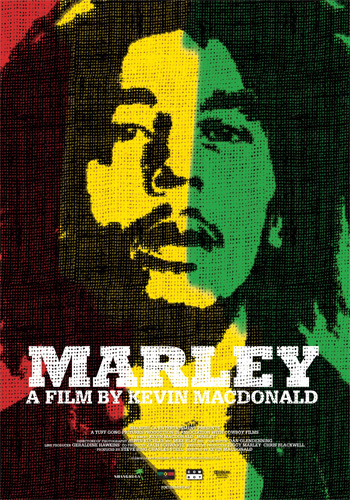 Marley is the new cinema documentary by Kevin MacDonald, released theatrically by Universal in Spring 2012. This is the definitive film about the extraordinary life of Bob Marley and includes never before seen footage, unreleased tracks, and interviews with those close to him that have never been seen before. The film premiered at the Berlin Film Festival and is produced together with Steve Bing. BILL is a comedy about Shakespeare - or rather, how Bill became William. The stars of hit BBC children's show HORRIBLE HISTORIES, have written and star in the story of how hopeless lute player Bill Shakespeare leaves his family and home to follow his dream, but gets caught up with murderous kings, spies and a plot to blow up Queen Elizabeth. 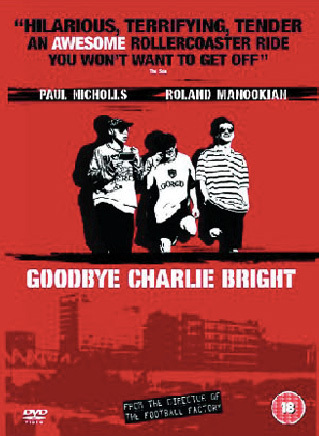 Nick Love's debut film GOODBYE CHARLIE BRIGHT, THE HOLE, a psychological thriller directed by Nick Hamm and the Anglo-Italian co-production THE SOUL KEEPER directed by Roberto Faenza and staring Emilia Fox. Cowboy has produced a number of short films including Andrea Arnold's Oscar winning WASP and Martina Amati's critically acclaimed short dramas A'MARE (winner of the BAFTA/LA certificate of excellence), I DO AIR (winner of the BAFTA for Best Short Film) and CHALK (nominated for the BAFTA and winner of Best British Short Film at the British Independent Film Award 2011). Charles trained in film production at the Royal College of Art before producing his first feature AMY FOSTER (distributed worldwide by Columbia Tri-star 1997). He then joined Cowboy Films to produce with Lisa Bryer, original founder of the company. When Lisa stepped back to a non-executive role in 2007, Charles continued with Cowboy Films. Alasdair, a former journalist, has a background in film development and script editing and set up Prospect Entertainment to develop his own projects before joining Cowboy as Charles' producing partner in 2007. Watch the TOP BOY cast announcement trailer here here! Principal photography is soon to commence on Cathy Brady's WILDFIRE. More Info! Kevin Macdonald's lastest documentary RETURN TO PODOR to premiere at Telluride More Info! 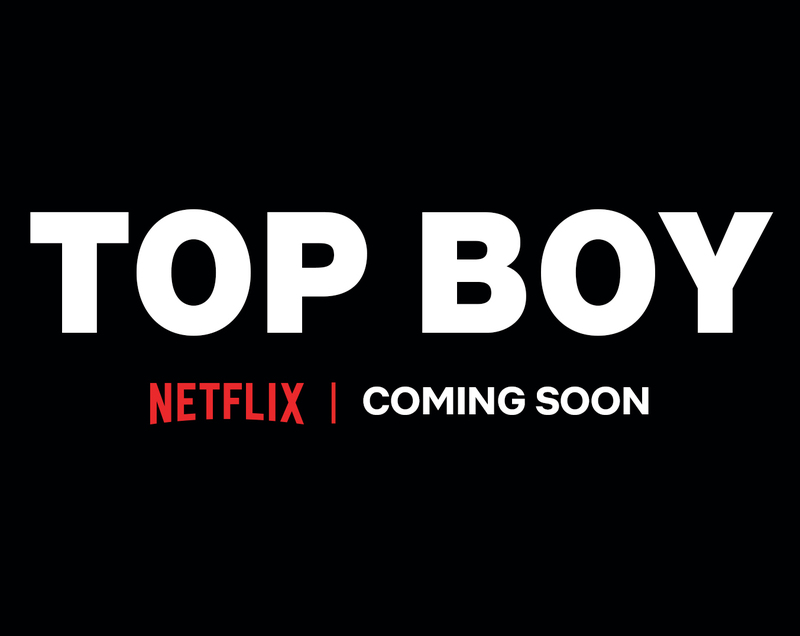 We are excited to announce TOP BOY is returning in 2019 with a new 10 part series for NETFLIX!More Info! MADLY, the anthology film containing I DO by Natasha Khan is premiering at the 2016 Tribeca Film Festival More Info! ‘Bill’ is Set For US Event Cinema Release Via FathomRead more here..! Richard Bracewell, Laurence Rickard and Ben Willbond have been nominated for BILL in the comedy category at the Evening Standard British Film Awards! Read more here..! Martina Amati's art installation UNDER is now open until the 11th October More Info! Martina Amati's art installation UNDER opens this Saturday 26th SeptemberMore Info! Bill is in UK cinemas today! More Info! Martina Amati's installation on the art of freediving opens 26th SeptemberMore Info! Black Sea is now out on DVD in the UK! Check out the first trailer for Bill - in UK cinemas 27th March 2015 See the trailer here...! Check out the first trailer for Black Sea starring Jude Law See the trailer here...! Cowboy Films/Punk Cinema to start shooting family comedy feature BILL in February Read more here..! Principal photography has come to an end on How I live Now. A huge thank you to all the cast & crew involved with the film! Top Boy has been nominated for three BAFTA Television craft awards: Yann Demange (Director: Fiction), Tat Radcliffe (Photography & Lighting) and Brian Eno (Original Music). The awards ceremony takes place on May 13th. Martina Amati's 'Random Act' Peter for Channel 4 can be viewed online here. 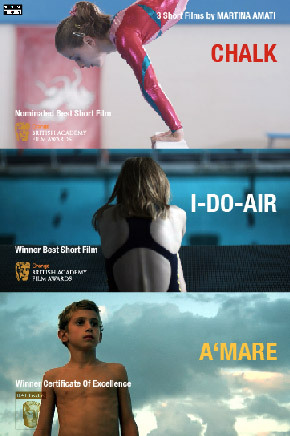 Chalk won best short film at last night's British Independent Film Awards!